To HONOR, RESPECT, and CONNECT all active serving men, women, and military veterans. To HONOR all active service men, women, veterans of our great nation. To RESPECT veterans by creating and promoting educational events that bring awareness of their needs. To work with our nation’s community’s in supporting all military veterans so that they are always looked upon as the most successful and well-adjusted service members of our nation. 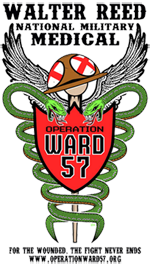 Operation Ward57 supports wounded warriors, their families and medical staff at Walter Reed National Military Medical Center by providing items that assist in recovery, maintenance and morale of the hospital environment and through advocacy, education and promotion of their circumstances. Support wounded warriors, their families and medical staff at Walter Reed National Military Medical Center by providing items that assist in recovery, maintenance and morale of the hospital environment and through advocacy, education and promotion of their circumstances. To create experiences that empower veterans to help themselves and others. Addressing issues that plague our veterans, one step at a time. The Wounded Walk is a nonprofit organization located in Leesburg, Virginia that caters to physically and mentally wounded military veterans and advocates for the advancement of post-combat treatment for wounded veterans. The idea to create The Wounded Walk originated in an Outback Steakhouse in San Diego, CA. 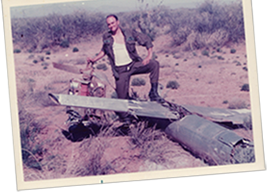 Adam Shatarsky and Chris Senopole, while enlisted with the 2nd Battalion 5th Marines, sat in a booth at an Outback Steakhouse and discussed their life plans for after their time with the United States Marine Corps. To this day, neither Adam nor Chris know who came up with the idea to start The Wounded Walk, but once the idea was on the table, these Marines never looked back. A walk across the United States was the daunting idea – 2,700 miles from Camp Pendleton, CA to Washington, DC, all to raise awareness for their wounded brothers and sisters in arms. In April 2013, Adam and Chris started planning their journey – planning their route, notifying friends, and spreading the word of wounded veterans in need. On June 15, 2013, Adam and Chris stepped off from Camp Pendleton, CA on a journey toward Washington, DC that would officially begin The Wounded Walk. Warrior 360 is specially equipped for rapid response to immediate needs that threaten the basic welfare of our nations heroes. From medical needs to home repair, we're committed to caring for those who've cared for us. 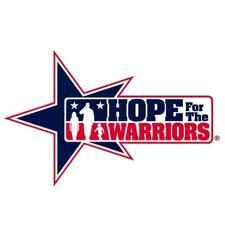 Hope For The Warriors® understands the challenges, pride, and joy of being a military family. For today, tomorrow, and years to come, we will strive to meet the changing needs of service members and their families. In our over 200 year history there has never been an official national symbol that specifically recognizes in gratitude and respect the ultimate sacrifice made by members of the United States military in service to our nation. The Honor and Remember Flag was created for that purpose. To promote the vision of the Honor and Remember Flag and request that visitors to the website sign a petition and pass the word about the importance of this new symbol. To build a consensus among the branches of the United States military, veterans organizations, service and civic groups, businesses and individuals in order to collectively solicit the Department of Defense and the United States Congress to propose and accept the Honor and Remember Flag as the official flag for honoring all fallen servicemen and servicewomen. 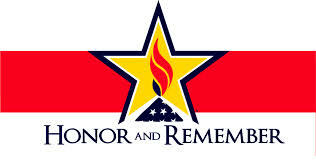 To promote broad national awareness of and groundswell interest in the flag, so that military, government and educational facilities as well as households throughout the country would begin flying the Honor and Remember Flag in recognition of our nation’s fallen warriors. To place one personalized Honor and Remember Flag in the hands of immediate families who have lost a loved one in military service to America. To help children of our fallen military and first responders develop into strong and successful adults by providing them positive mentoring and developmental activities when they are at their most crucial developmental phase of life. To walk alongside the children of our fallen when they need it most, while they are developing, regardless of the cause of their parent's death. Many children fail to qualify for benefits, and fall through the cracks because of their parent's cause of death or unit of assignment. Each child suffers regardless if mom or dad died in a combat zone, training accident, on the job illness, or from suicide as a result of the stress of their jobs. From the child's perspective, the impact is the same, mom or dad is no longer there. No one can ever replace their lost parent, but we can be there for them. LCpl. Cody S. Childers was a 19 year old United States Marine who was killed in Afghanistan in August, 2010. This Memorial Fund has been created to honor Cody and keep his memory alive by sending care packages in his name to the deployed Marines that he loved; marines who were truly his brothers. LCpl. Cody S. Childers Memorial Fund holds fundraisers and accepts donated items and gifts as well as IRS tax deductible monetary donations to cover the expenses of shipping and care package contents. The packages are filed with plenty of snacks, Covert Thread socks, Gatorade, batteries, books and anything that will make them smile. Your support would be greatly appreciated.